Teenagers. I have three boys, and two of them are teenagers. 15 year-old Kav is my middle son, and he gave me permission to share his story here. When he was five, Kav was diagnosed with Type I Diabetes, and I'm in awe of how he's accepted this challenging, lifelong condition. He’s shaping up to be a fantastic young man. So far, we haven’t had to deal with any teenage rebellion – with one critical exception: Controlling his blood sugar. Kav consistently lived with a blood glucose level in the 200s, and that's high. It’s outside of the normal range and needs to be corrected with insulin. 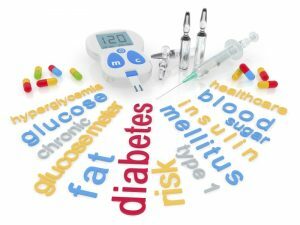 When a diabetic is consistently in the 200+ range, it causes big problems, including tissue and organ damage. I provided repeated “education,” both as a mom and as a nurse. But despite my warnings and his doctor's – including threatening to take away his insulin pump and put him back on insulin shots – his behavior didn't change. Kav's diet was typical of most teenagers – irregular mealtimes and packed with carbs and caffeine. Exercise and sleep regimen? Non-existent if you're a gamer like Kav. This summer Kav got sick with a cold and flu virus which wouldn’t have been a problem for a typical person to overcome. But it landed Kav in the hospital. He was in the Pediatric ICU for almost a week with a life-threatening complication of diabetes called ketoacidosis. As I reflect on this incident, I realize the significance of what we do here at SAS. All of the data – whether streaming from an insulin pump or a glucometer, generated and available through his provider’s electronic health record, or captured through social media interaction – could have been processed through sophisticated analytic models. These models could have identified and understood patterns and trends in a diabetic's clinical condition and associated rising risk, behaviors, the tipping point, and, most importantly, identified what would likely drive behavior change. Could augmented intelligence have prevented a critical event such as Kav's hospitalization? Could delivering a ping at the right time to his mobile device really make a difference? Perhaps. Better to ping than not -- using analytics to determine what notification should be delivered, predicting what the patient response would be, and capturing that response, to improve the model and to better understand the patient. This is what's called “next best action” in the digital marketing world. Essentially, it's all about gaining a 360-degree view of a person (in this case Kav, the patient), understanding what insight would be valuable, and identifying the best message, channel and timing to help motivate a change in behavior. Think about it, have you ever been motivated to do something based on digital outreach? The same principle is applicable to healthcare, and could lead to significant transformation. So where do we go from here? That's what we'll discuss on December 4, at 10 am EST. Join us for a live webinar as we take an in-depth look at what digitization and the next best action means to health care. Heather has built her career around improving the safety and care of patients through enablement of healthcare information technology. She has extensive experience working with end users (physicians, nurses, ancillary staff, clinical and analysts) and is educated in the principles of Lean Healthcare with demonstrable project work documenting current and future state workflows, and its impact to the clinician and patient experience. Heather has over 25 years of experience, 10 in direct patient care and 15 in informatics, and holds a Bachelor of Science in Nursing, a Bachelor of Arts in Psychology and a Masters in Health Care Administration and is actively licensed as a nurse in both the United States and Canada. Kav sounds like a bright and brave young man. The "repeated education" you're giving him, although not always actioned upon, has tremendous value because that's how we as humans learn-- through repetition. Having been exposed to the subject, I know that age and maturity will play a big role into how he prioritizes importance and as you mentioned, technology will advance. Whether it's the accuracy of glucometers, the effectiveness of insulin, or the potential impact that 5g networks could deliver on detecting hypo/ hyperglycemia in realtime. Brydon, thank you for your insight and optimism about how technology advances will continue to support individuals with this lifelong condition!